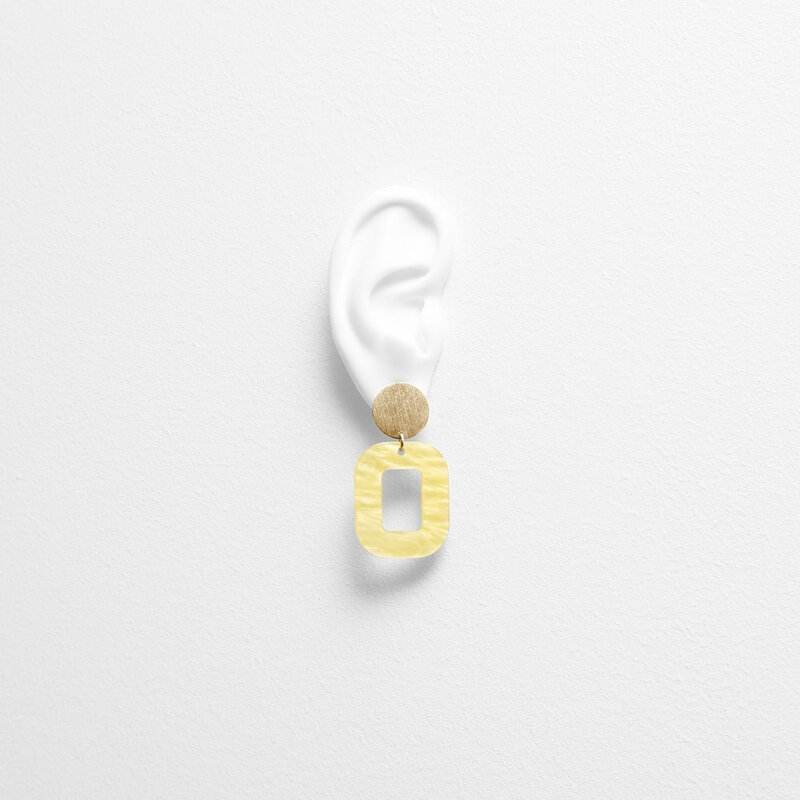 These unique earrings are produced in an exciting combination of 24k gold plated sterling silver and acrylic. The beautiful acrylic plastic we use is produced in a beautiful off white shade with a unique color scheme that gives a feminine and colorful twist to your outfit. The beautiful acrylic plastic we use is produced in a beautiful off white shade with a unique color scheme that gives a feminine and colorful twist to your outfit.